It’s 1964. Segregation is in place. Racial tension is in the air. African-Americans are kept out of voting precincts but they are fighting back, because this is the summer of freedom. Or so they say. Diana lives in Tupelo, Elvis Presley’s birthplace. She lives in squalor with her sick mother, living off of her neighbors’ charity. Donated curtains, donated sheets, money, free groceries. They cheat the system, telling their social worker that Diana’s mother, Paige Dunn, has 24-hour help so they can receive the welfare checks intended to pay such help. In truth, at night till the wee hours of the morning, it is only Diana who tends to her mother’s needs. Paige Dunn can only move her head. Stricken with polio while pregnant, she gave birth to Diana while inside an iron lung – a medical miracle. She also insisted, against the wishes of everyone around her, to take care of her own child. According to author Elizabeth Berg, Paige is inspired by the true story of Pat Raming. I finished the story fairly quickly because Diana is an honest, feisty, engaging voice. However, despite all the foreshadowing, I was surprised by the improbable, fairy-tale twist. Berg actually went there. Huh. It felt as if several subplots were ended abruptly in order to have this happy ending: LaRue’s civil rights fight, Diana’s puberty. It could have been a longer book (What happened during Diana’s teenage years? ), but Berg decided to just tie up all the loose ends in the Epilogue and call it a day. 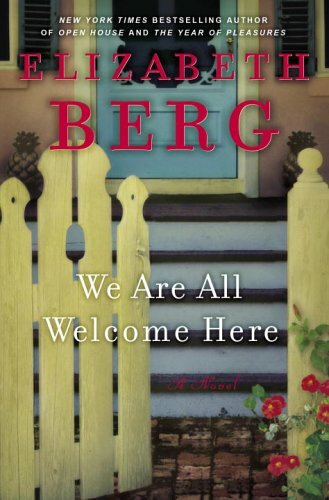 But perhaps this is just the tale Berg wants to tell: a summer where things go downhill, and suddenly, very suddenly, change for the better. It’s a good enough story, as it is.